The purpose of the Town's Cross-Connection Control Program is to protect the public potable water supply; to promote the elimination or control of existing cross-connections between potable water systems and non-potable systems; and to provide for the maintenance of a continuing program of cross-connection control which will effectively prevent the possible contamination or pollution of all potable water systems by cross-connection. The Town is committed to protecting the public water system from contamination due to backflow or backsiphonage of connections containing non-potable water. Backpressure cross contamination can occur when the pressure in equipment or a system is greater than the pressure in the drinking water system. 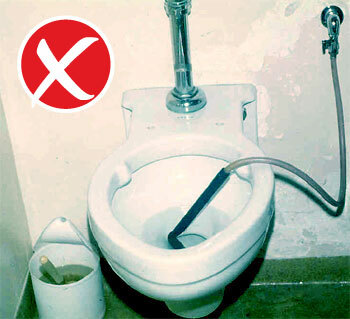 Backsiphonage contamination can also occur when the pressure in the drinking water line drops due to occurrences such as main breaks and heavy water demand causing contaminants to be sucked out from equipment and into the drinking water system. Every six months, as required by Massachusetts Drinking Water Regulations, the Water Division performs backflow device testing as a fee for service program. Devices are tested and a report is given to the property owner. Follow up tests are performed if the device failed the initial test. Repairs to backflow preventers are repaired by independent firms at the owner's expense. Reporting and management of survey and testing reports is the responsibility of Town of Needham. Conditions of the systems are reported to the Mass DEP. Outside water taps and garden hoses tend to be the most common sources of cross-connection contamination at home. The garden hose creates a hazard when submerged in a swimming pool or when attached to a chemical sprayer for weed killing. Water suppliers are required to survey all industrial, commercial, and institutional facilities to ensure all cross connections are identified and eliminated or protected by an appropriate device. The owner shall be responsible for the payment of all fees for permits, annual or semi-annual device testing, retesting in the case that the device fails to operate correctly, and second re-inspections for non-compliance with MassDEP regulations.